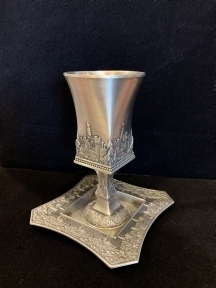 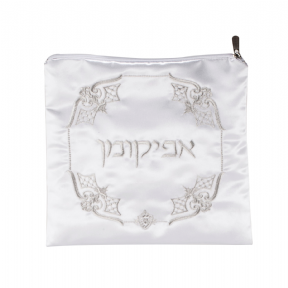 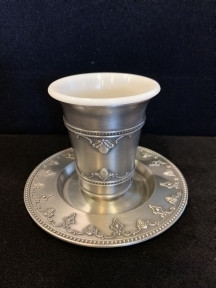 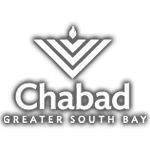 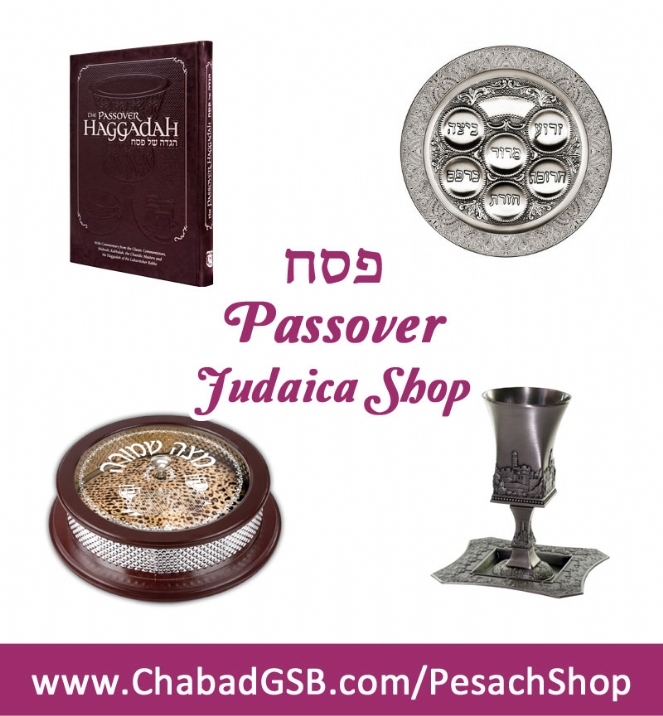 Chabad Judaica is now carrying a full line of Passover Judaica & Gift options! 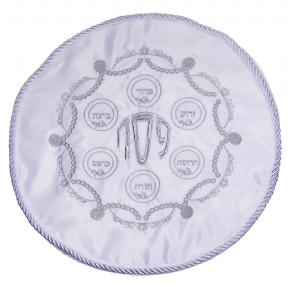 Orders should be available within 2-3 weeks. 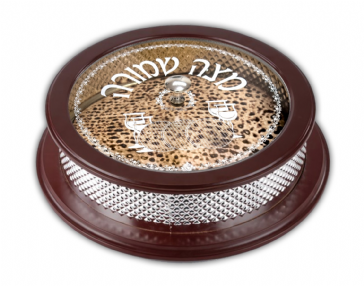 We will contact you when your order is available for pick up. 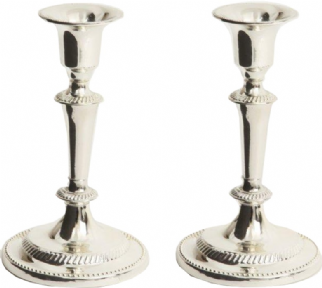 Additional items available in house, please visit our showroom for our full collection. 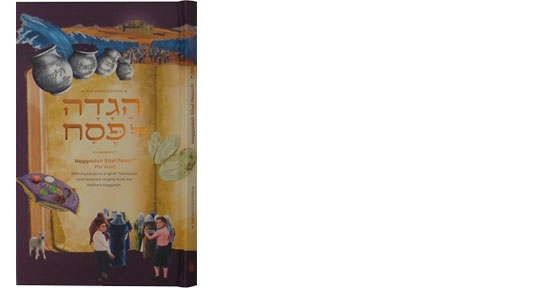 Illustrated children`s Haggadah, incorporating insights by the Lubavitcher Rebbe, culled from his classic Pesach Haggadah. 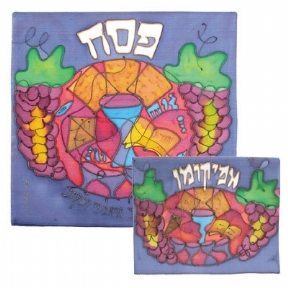 The new, easy-to-understand translation incorporates the Rebbe`s teachings, and an abundance of colorful illustrations brings the text to life. 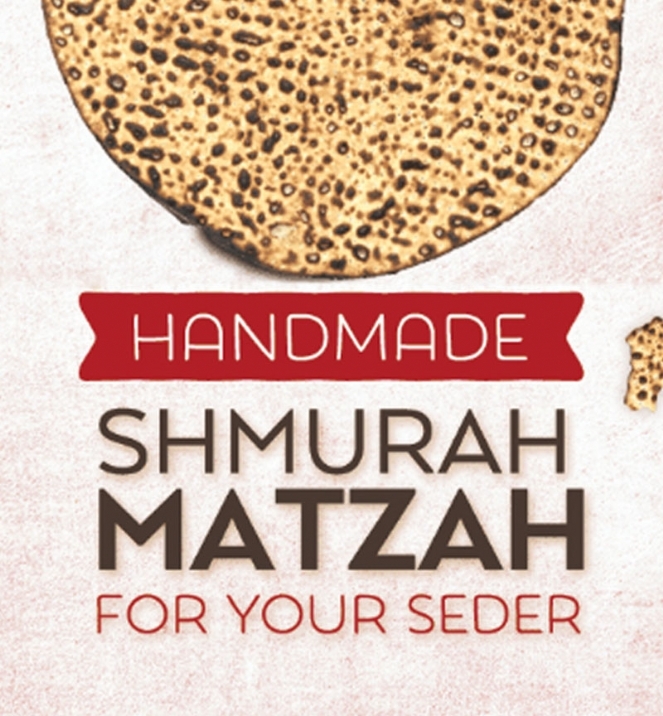 To help maintain children`s attention and interest, every page of the book contains colorful and beautifully laid-out illustrations, as well as easy-to-understand instructions designed to make it easy for children to follow along and participate in the Seder and its customs. 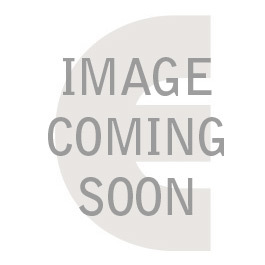 Beautifully typeset, with gold-leaf like margin designs. 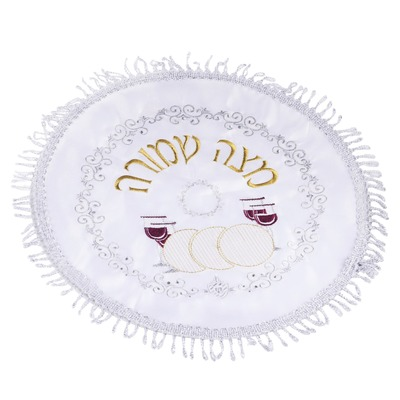 Clear instructions on how to conducting the seder interspersed throughout. 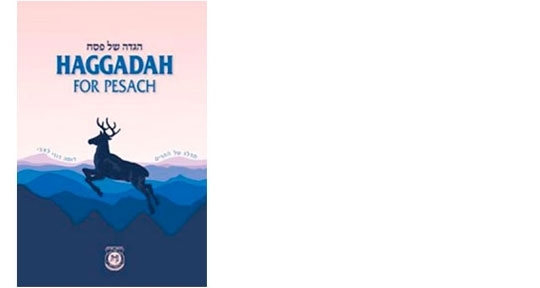 Commentary and stories on the Haggadah collected from the works of the Lubavitcher Rebbe Rabbi Menachem M. Schneerson zl and the preceding Rebbeim of Chabad. 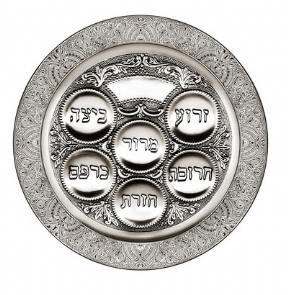 From a variety of texts, this commentary provides depth and vitality to the Seder experience. 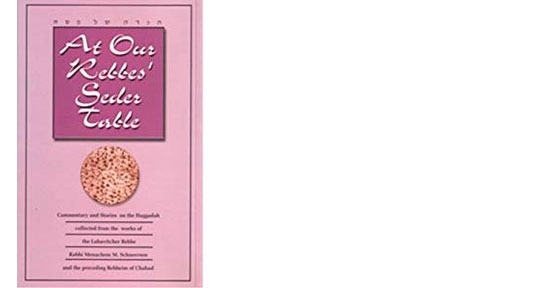 For the novice and the experienced, it provides clear and concise instructions concerning preparations for Pesach and observance of the Seder. 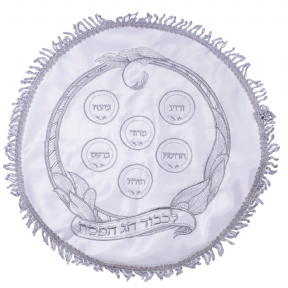 It focuses on the contemporary relevance of the message of redemption. 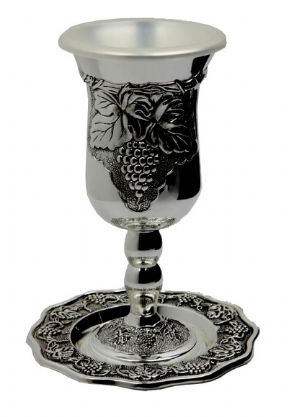 Complete Haggadah text in clear Hebrew and English with commentary in English. 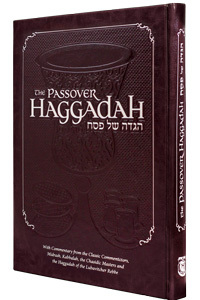 A clear and easy to read text-only edition of the Haggadah with a color, splash proof cover. 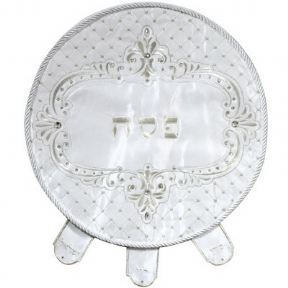 Conveniently sized to take up minimum room on the crowded seder table. 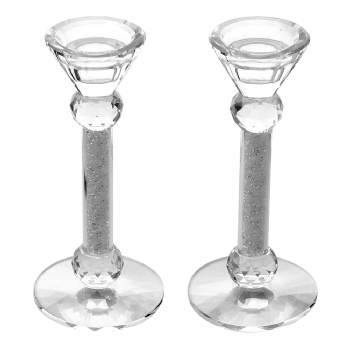 Handy to keep a few extra around for unexpected guests. 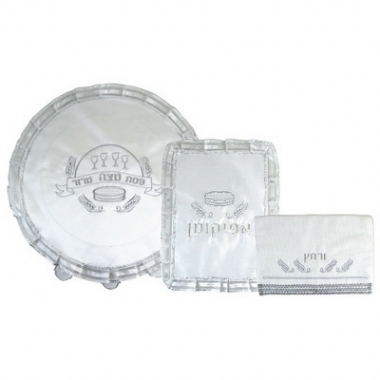 Seder Plate Filigree Silver Plated 15.5"
Matzah Cover With 3 Pockets Silver Design 15.5"
Matzah Cover with 3 Pockets White Satin 15.5"
Matzah Cover Round 1 Pocket Small with Hard Plastic 13"
Matzah Cover Square 1 Pocket Small 13"
This beautiful matzah cover will add color and distinction to your Seder table. 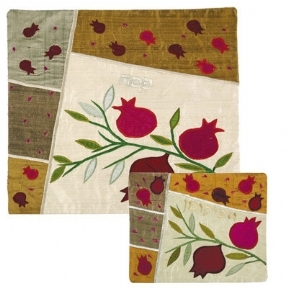 It's made of silk applique that is embroidered on to the fabric. 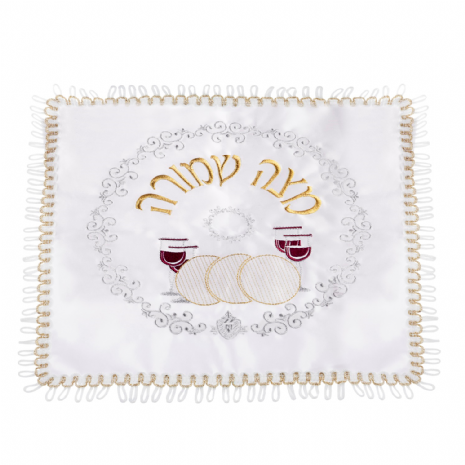 The matzah cover has three sections inside to separate the top and bottom matzahs from the middle matzah and each is embroidered with "Pesach" in Hebrew in the middle. 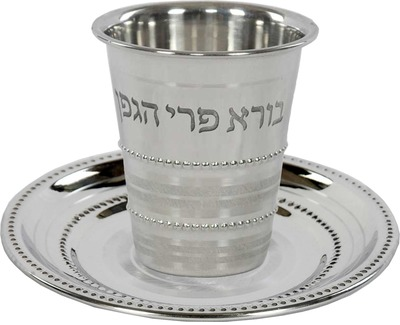 Afikoman Bag With Hard Plastic 9.5X10"
Wood And Silver Plated Matzah Holder 14.5" x 5"
Stainless Steel Kiddush Cup Set With Beaded Design And Hagefen Text 3"